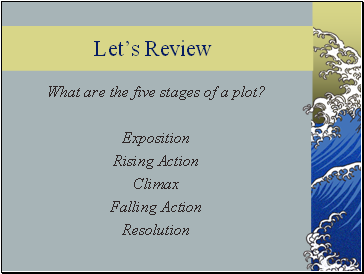 What are the five stages of a plot? 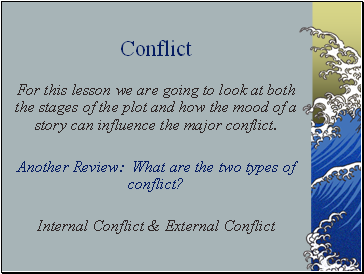 For this lesson we are going to look at both the stages of the plot and how the mood of a story can influence the major conflict. 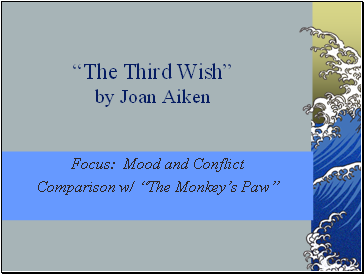 Another Review: What are the two types of conflict? 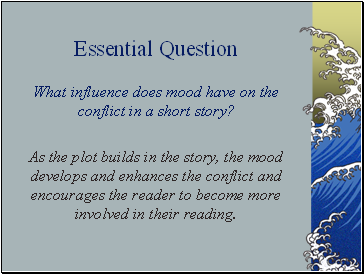 What influence does mood have on the conflict in a short story? 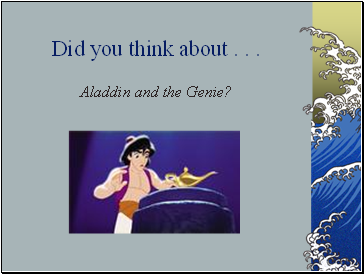 As the plot builds in the story, the mood develops and enhances the conflict and encourages the reader to become more involved in their reading. 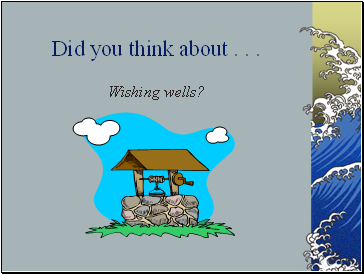 What kinds of things do you wish for? 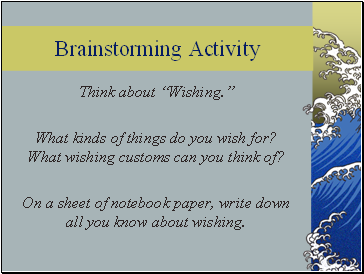 What wishing customs can you think of? On a sheet of notebook paper, write down all you know about wishing. Did you think about . . . 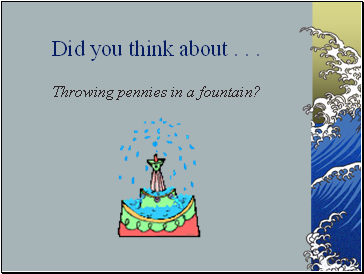 Throwing pennies in a fountain? 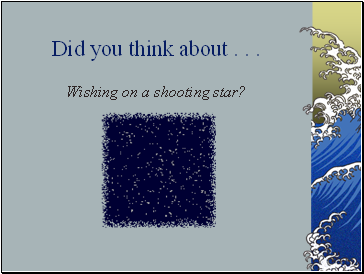 Wishing on a shooting star? What do you know about swans? 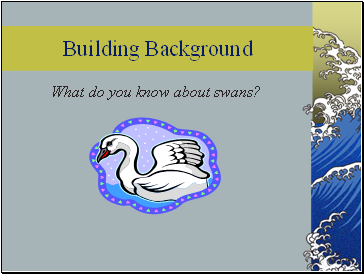 Swans have appeared in European folklore and mythology since ancient times, when people believed that Zeus, king of the gods, once came to earth disguised as a swan. According to legend, a swan sings one strange and beautiful song in its lifetime—as it is dying. 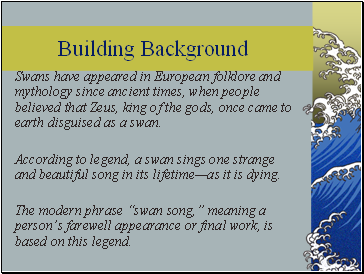 The modern phrase “swan song,” meaning a person’s farewell appearance or final work, is based on this legend. The beautiful swan sat preening itself, hoping to extricate the mud from its feathers. Some malicious person, sitting on the outskirts of the lake, had tried to harm the swan by throwing mud at it. 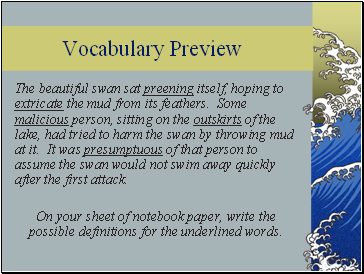 It was presumptuous of that person to assume the swan would not swim away quickly after the first attack.